Sir Braggalot challenged us to consider who the worst king is, so now I would like to challenge the CC community to consider who the best knight is. They look particularly cool in these images too. A good healthy debate ensues. I object! That golden knight is a "pansy" in my castle world. What self respecting Knight wears gold?!?! It is a soft metal!!!! It isn't going to stop any weapon coming at him. To look pretty I say. To brag and to show off. In other words absolutely no knight I want defending me. No thanks. Now if you are going to tell me he is in his "party" attire, well I still say no thank you. What kind of knight wastes his money on gold armor when he can spend it on better weapons, armor and horses? Give me a good old fashion Black Falcon or a Shadow Knight and I am a happy and well defended lady. Bluesecrets wrote: That golden knight is a "pansy" in my castle world. See now, KK2 colored stuff has it's place. And while that isn't in my army, some parts of it can be. Is he a pansy? Probably, I don't give KK2 any thought except for the awesomeness of the Shadow Knights. 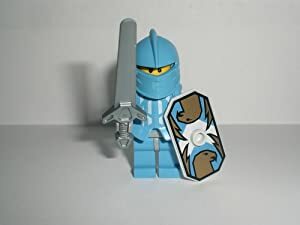 He definitely isn't the "best" knight in my army, but he was a very good knight to give my nephews when they were 5 to play castle with, because I didn't care if it was destroyed. So he gets a few points for surviving the nephew slaughters. The gold knight is ok but I dislike his mix and match armour (ie the genuine golden visor mixed with a bright yellow helm). 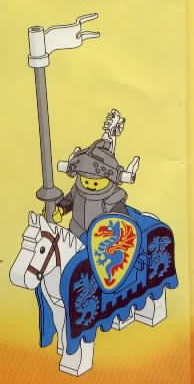 Of those Knights I have probably the Black Falcon Knight from the Kingdoms Joust is my favourite. I have to agree with the OP. 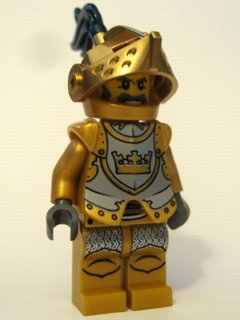 I don't think they have made any knight that compares to the splendor of the gold knight. Far from being a pansy, in my mind he was gifted with armor plated in gold in recognition of his valiant stand to defend the royal family. The only thing he's missing is a cape from Cape Madness. Oh, and flesh colored flesh. Maybe he has enough skill to use a less solid metal? Maybe he's saying, "Hey punks, I don't need to hide behind a strong suit of armour!" Or maybe it was a gift from his grandma and he HAS to wear it. Personally, I vote for the Black Knight...from the Black Knight set. Obviously this brave knight has the skill to set off on his own to face whatever enemy he may come across. He has the sense to well-equip himself, and a snazzy-looking shield to boot. Athos is spot on with the dragon knight. That guy is a hosscat! 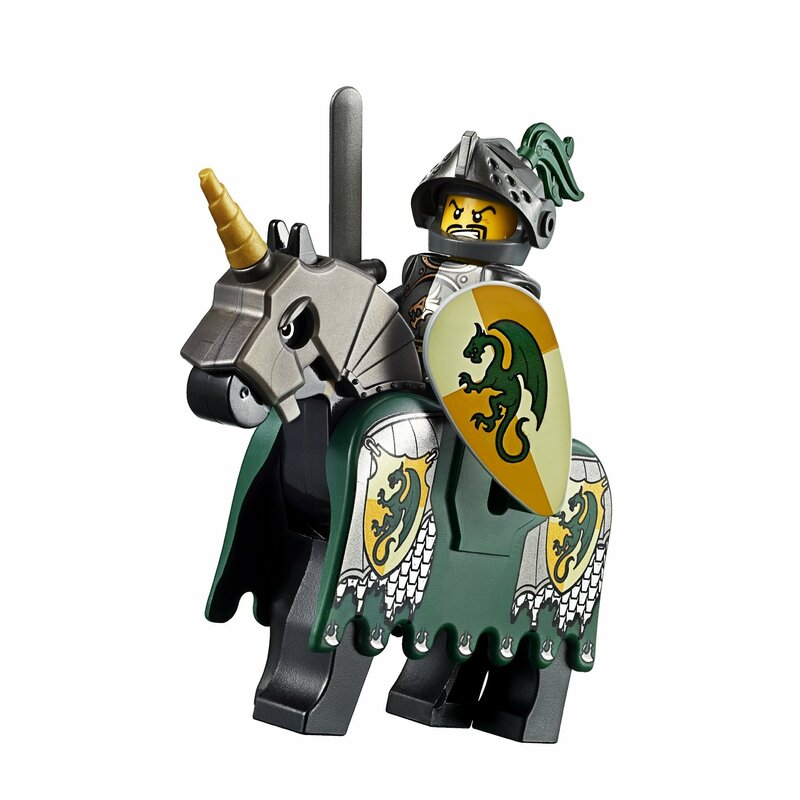 His horse barding, which I finally got for a measly 9 dollars on bricklink (he only appears in the one set) is the best I have seen. He is epic across the board. I think that as an overall "baddest" or best knight this guy takes the prize. His armor isn't overly shiny though it looks well maintained, he does have a cool helm with a visor and the ovoid shield which IMHO is a better fit for a knight. Yes, this definitely has to be one of the best knights. The horse barding is spectacular. I agree and also nominate this knight. I've heard from certain posts and threads that this knight might actually be the Black Monarch himself, due to the rarity of the white plumes! Debate joined! Here now, YOUR gold knight may be a pansy, but MINE is undefeated in duels and melees--hence unbeatable in his golden armor and survivor of countless battles. After all, LEGO depicts him defending the bridge and princess against the baddies, and you don't get that job without earning it. Moreover, that "soft gold armor" is magically enhanced by the wizard of the kingdom to be impregnable. I nominate this guy! He is skilled and strong, tough enough to evade the superior forces of the cruel lion knights! 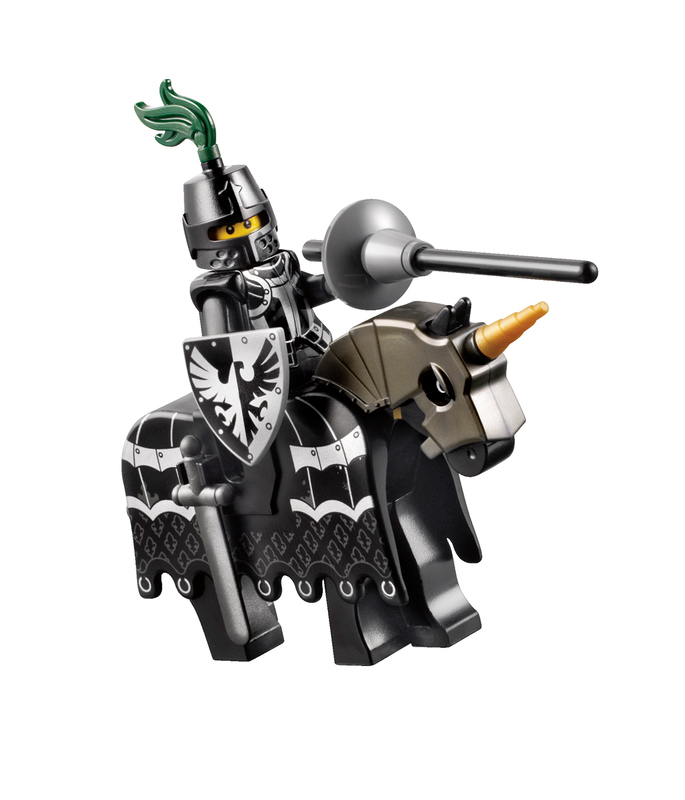 http://lego.wikia.com/wiki/Elite_Dragon ... e=DP-1.png he is the best!